So who are the lucky 15? Given last year's Rock Hall class, expect at least a partial shift away from classic rock. For the Class of 2017, newly eligible Pearl Jam is the consensus favorite, and previous nominees will be back. However, it's the unforeseen wild cards that always hold the most intrigue, and some of the picks below are very much in that anything-can-happen spirit. Let's go crazy. Let's get nuts. Pearl Jam - Arriving fully formed in 1991 with their monolithic debut Ten, Pearl Jam has never wavered, building a sterling rock career that has to be the envy of any of their peers. They've held a firm grip on that elusive, all-too-rare thing artists like Neil Young and R.E.M. possess: artistic integrity. They've got the anthems, the diehard following, and they continue to play stadiums and arenas. And what a saga: They outlasted "grunge," battled Ticketmaster, endured tragedy, and forged a contemplative yet triumphant identity that is singular, earning fans from Pete Townshend to your little sister. Plainly, they are this year's shoo-in. Eddie Vedder and company will serve as a ceremony headliner and heavy draw for the HBO broadcast. 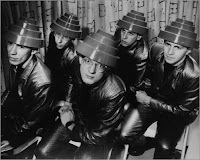 Devo - Just a hunch, but given Gerald Casale's recent talk at the Rock and Roll Hall of Fame museum in August (titled "It's a Beautiful World: Devo and the Subversive Politics of Rock"), it appears the institution is finally warming up to the Ohio spudboys. 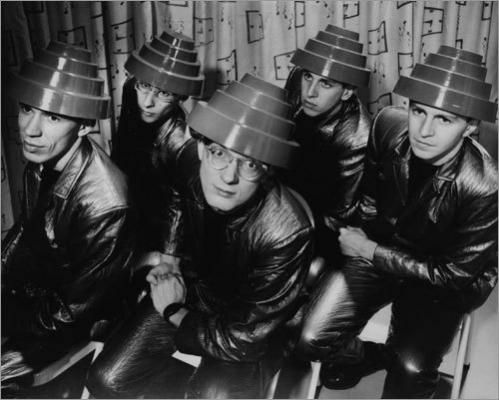 Devo is a truly special act with intelligence, a distinct worldview, and an unforgettable aesthetic. Their influence reaches far and wide. Case in point: Pearl Jam once dressed up as Devo and performed "Whip It" at a Halloween concert, so there's "all star jam" potential there if both acts went in. Imagine a dozen or so rock legends wearing red flower pot hats, it's almost worth inducting them simply to arrive at that scenario. 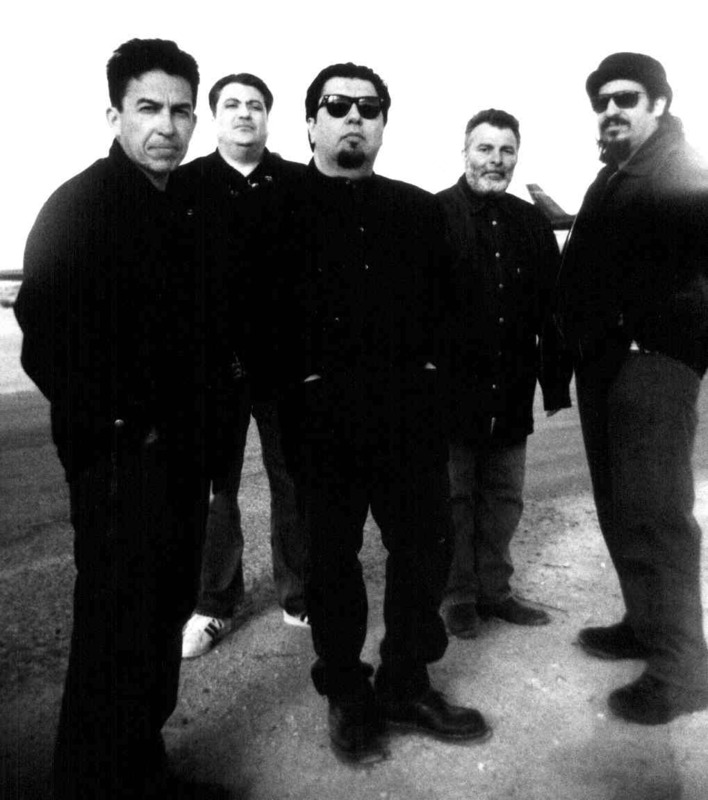 Los Lobos - This eclectic troupe, which refers to itself as "just another band from East L.A." was a welcome addition to last year's list of nominees, and one few could have predicted. They didn't make the induction cut, but their rootsy, shape-shifting rock, multiple Grammys, and reportedly strong advocacy within the NomCom should keep them on the ballot. Judas Priest - If one was to bet on which two artists Tom Morello is putting forth in this October's nomination scrum, the smart money would be on MC5 (below) and Judas Priest. Furthermore, Rock Hall voter Eddie Trunk went on record again recently, voicing his support of the metal gods' induction. Regardless of your opinion of Trunk, he is arguably metal and hard rock's most visible and active champion: the man who directly speaks to/fires up the larger base. Trunk represents a wider legion of metal fans/defenders of the faith that want Judas Priest (and other metal acts) to get their due. This is as much about validating heshers' personal taste as it is giving it up for one of the reigning titans from the New Wave of British Heavy Metal. Black Sabbath is in, Deep Purple is in... it's Judas Priest's turn. Nine Inch Nails - Nominated the last two years, and there's no reason to think industrial-rock necromancer Trent Reznor won't be back again. (Three times is probably the charm for induction, too.) The purist, and even Reznor, might passionately argue that Kraftwerk, Depeche Mode, and even the Cure should enter the Hall first, but NIN commands immense respect in the industry. The Go-Go's - Rolling Stone published a recent interview with singer Belinda Carlisle, and it was noted twice in the article how the Go-Go's stand alone as the only all-female group that writes and plays its own music to hit the top of the Billboard chart. It's a solid reason for Rock Hall consideration, and a possible signal that they're headed toward a nomination. 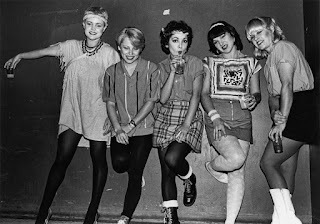 Even in the absence of this article, there's a valid case to be made for the Go-Go's, who emerged from the L.A. punk scene and took the airwaves and MTV by storm with "Our Lips are Sealed," "We Got the Beat," and "Vacation," among other hits. They're on a farewell tour right now, so it might be a shrewd move on the Hall's part to catch them while they're still relatively active. The Cure - Nominated once in 2012, and they're too iconic and influential to ignore forever. With their entrancing repertoire, longevity, and current tour, they're an easier sell on the ballot than the never-going-to-reunite Smiths, whose place they'd be taking this year. Robert Smith and company are a legendary British troupe with a global multitude of followers. "Just Like Heaven," pretty much a perfect song, would almost be enough to enshrine them. And what a spectacular addition to the Rock Hall ceremony they would be. 2Pac - A towering, near-mythical figure in rap, the late Tupac Amaru Shakur has sold 75 million records globally. He started out initially—and relatively inauspiciously—as as a backup dancer and emcee for the Digital Underground, then struck out on his own and released 2Pacalypse Now in 1991. Controversy and violence were the hellhounds on his trail, never far behind, but his raw talent, extensive discography, and ongoing influence are irrefutable. 2Pac's most revered album statement is his Death Row Records debut, All Eyez on Me, released in 1996, the year he died at age 25 after being gunned down in Las Vegas. As far as his Rock Hall chances, he's #86 on Rolling Stone's 2011 "Greatest Artists of All Time," a 100-entry list that, per Future Rock Legends, puts him among only 7 artists that are not yet inducted. It's just a matter of time. The Shangri-Las - Eligible since 1990 but never nominated, these purveyors of widescreen teenage dramas produced by George "Shadow" Morton nonetheless feel like a natural fit for the Hall. Their achievements in song include the death-courting "Leader of the Pack" and the poignant, seagull-accented "Remember (Walkin' in the Sand)." Countering the more prim and proper girl groups of their time, the Shangri-Las cultivated a edgier image, decked out in boots and leather pants. Their influence can be seen and heard in everyone from punk rockers to Madonna to Adele. MC5 - Eligible for 25 years, and nominated in 2003. Time to "Kick Out the Jams" again. One of the key building blocks of American punk rock, Detroit's fiery MC5 is a favorite of NomCom member Morello, who may be advocating for them this year. In fact, Prophets of Rage, his current combo alongside of his Rage Against the Machine rhythm section as well as Chuck D and B-Real, recently covered MC5's "Kick out the Jams" in Toronto with Dave Grohl on drums. That sure is a lot of Hall of Famers digging on one punk band. Link Wray - 33 years eligible, and nominated in 2014. 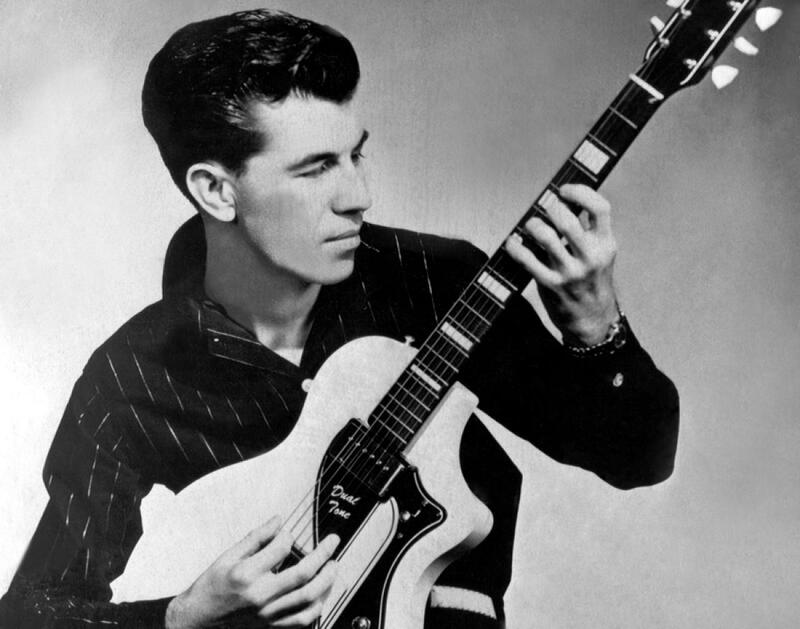 The pioneering guitarist, who essentially invented the power chord and inspired Pete Townshend to pick up a guitar, is one of the more glaring Rock Hall snubs, and is bound to return to the ballot. A wildly deserving and influential figure in rock and roll. The Cars - "Hello again!" Nominated last year, and it was surprising the beloved, percolating new wave crew—a staple of FM radio like many of the eventual inductees—didn't make the final cut. They'll be back this year. How many groups can boast that Andy Warhol directed and appeared in one of their music videos, anyway? Kool & the Gang - This year's ballot will have some stunners, and Kool & the Gang could be among them. They're an American musical institution (try getting through New Year's Eve without hearing "Celebration"—it can't be done), and their accomplishments are legion. They've been doing it since 1964, when they started as a jazz unit, but broke out in the next two decades, mastering funk and achieving crossover pop/R&B success with an avalanche of charting singles. They are among of the most sampled acts ever ("Summer Madness" alone has been sampled 160 times by artists including Ice Cube, Snoop Dogg, and Mary J. Blige), and "Cherish" was a smash hit in 1985. They've been a presence in theaters too; "Summer Madness" appeared in Rocky, and Quentin Tarantino memorably featured "Jungle Boogie" in Pulp Fiction. So there's career longevity, a catalog of hits, and, given their astonishing sampling statistics, clear influence. 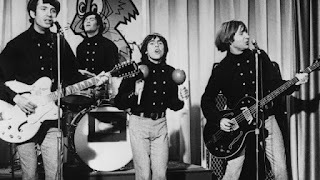 The Monkees - It may be now or never for the Monkees and the Hall, but the timing sure feels right. They have an acclaimed new album, Good Times (on which they collaborated with Rivers Cuomo, Ben Gibbard, and Noel Gallagher, among others), and a current tour that will even find Mike Nesmith sitting in with both Micky Dolenz and Peter Tork for one show in L.A. They were a pop culture sensation in the '60s, have plenty of smash hits, and are still at it 50 years later. Detractors should get over that "fictional band" stigma; it's been proven wrong time and time again. Sonic Youth - New York City's masters of guitar noise and left-field alt-rock hits ("Kool Thing," "100%") exuded a remote urban cool, yet were wholly committed to their punk-inspired craft... that is, until they disbanded in 2011 due to the marital breakup of Kim Gordon and Thurston Moore. The band is a darling among the rock intelligentsia, but lest you think they're too fringe, they once appeared on "The Simpsons." Also, it doesn't hurt that Gordon performed Nirvana's "Aneurysm" during the 2014 induction ceremony. It may take a few nominations to get them in, but Sonic Youth is due to hit the ballot. Don't think anyone else has picked the Go-Gos, but your reasoning just makes it click into place. This ballot could result in a great 80s party on induction night. All four of the well known Bangles members write their own music and all four can sing. Known for their top hits Manic Monday, Eternal Flame and Walk like an Egyptian. Agree, I think The Bangles should get consideration, especially if your looking for an all-girls rock group. They weren't The Beatles, but they were pretty good. This is one of the most astonishing venues that I've attended for my numerous experiences. This event venue is spot on with the decorations. The overall experience was amazing! Had a fun and comfortable time here.